Did you know that writing sometimes felt good simply because it led us to switch from one part of our brain to another? From the chaotic, parallel processing part of the brain to the serial processing part of the brain and helps restore order to our thoughts? have you ever tried to solve a problem that wasn't? If you have, you would know that one can never win that war and that it leads your brain to shred itself to pieces. During my PhD research I realised that finding an answer is the easy bit, defining the question is what takes talent, skill and thought. So, completely unrelated to anything else, let me tell you a story from a while ago, probably 1998. I was in high school at the time, and the way it worked at our school was that every morning during assembly 2 students, by roll call numbers, would stay back and clean the class rooms. It was my turn just after the weekend, and I think we must have had our class room used as an examination centre. Anyway, I was emptying out the cupboard and refilling the chalks and the regular stuff when I found the following just lying in there. It was one of the most mesmerising things I had ever laid my eyes on; I felt it was too precious for me to steal so I left it there and I would come back every day and look at it. But a few days later it disappeared. 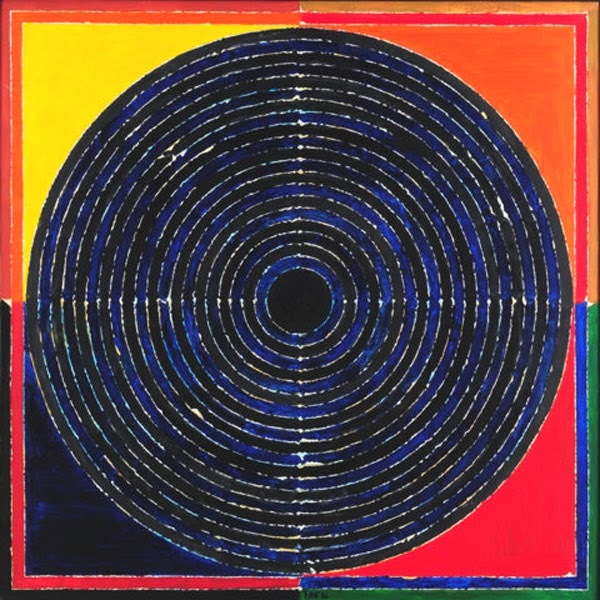 I am not sure how many years later but I found out about S H Raza and realised that someone had done a really good job copying that painting. Who knows how our brain functions and why a good story* and beautiful art resonates with us so much? *Reminds me of someone saying that a story is true in intent rather than in facts.